Christmas & New Years Foods & Drinks Guide 2!!!!!!!!!!!!!!!!!!!!! Australia’s leading innovator of professional kitchen knives and sharpeners, who have a new knife block set, exclusively available at John Lewis – the perfect present for the foodie family / wannabe Masterchef! New to the UK, Füri are proud to be launching one of their best sellers, the Furi Pro 5 Piece Knife Block Set. It is perfect for fruit and veg prep, and for cooks who really want and need a proper knife set to enhance their culinary skills. Furi was established in 1996, designed by leading Australian engineers & international chefs. The spirit is one of balance, between the weight and solidity of the West and the true sharp edge of the East. The super-fine crafting of superior bevelled edge blades, made from high grade Japanese stainless steel, ground and polished for the perfect finish, makes them second to none. Naturally, they come with a 25 year guarantee. Whether you are the chef in your own kitchen, or proprietor of a Michelin starred restaurant, the ability to use and enjoy your knives is a prerequisite, as is the need for tools that are worthy of the skill and love you put into your culinary creativity. The handles feature a revolutionary wedge-shape that locks into the hand for a safer grip helping to reduce hand fatigue, a key issue for those doing a lot of cutting in the kitchen. The Füri ethos being that if it feels right in your hand then it is right for your hand. The result is a knife that has gained worldwide recognition and popularity as shown by the long running endorsement of their Australian Brand Ambassador, Kylie Kwong. Many British cooking fans will know Kylie, Australian Masterchef, restaurateur, TV presenter and author, who says of Füri, “Sharp, perfectly balanced and an innovative handle that makes knife work so much easier. I now only use Füri in the kitchen.” As Furi say……Sharper thinking. “Greg’s love of whisky drips through every chapter, and his writing is authentic, incisive and entertaining. Serve this book up with a generous measure of Scotch by your side” Colin Dunn, Diageo Reserve Whisky Ambassador. Whether neat, mixed, shaken, stirred or on the rocks, people all over the world have been enjoying Scotch – Scotland’s signature tipple – since the 15th Century. But behind every dram there are rich, unique and colourful stories, and each of Scotland’s 120 distilleries tells its own distinctive tale. In The GreatDrams of Scotland, whisky-lover and award-winning writer and blogger, Greg Dillon, takes readers on an epic journey of discovery through the fascinating world of Scottish whisky, exploring the brands that have brought Scotch to life throughout history. 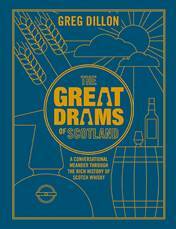 Taking in 28 distilleries and 23 iconic brands, The GreatDrams of Scotland reveals the legend and the history, the fact and the fiction, through personal accounts of the author’s many journeys across the country. More than just a whisky guide; the book decodes labels and demystifies malts and blends, through tales dating from the early years right up to present day, chronicling the brands that have contributed to the overall global success of Scotch. Perfect for whisky enthusiasts new and old, the book is brimming with tasting notes, inspirational interviews, fun facts, amusing anecdotes, insider secrets, and a whisky pairing in each chapter so you can drink along as you read. Greg Dillon is an award-winning writer and blogger, whose whisky and spirits focused website GreatDrams.com was awarded Best Food & Drink Blog of the Year at the UK Blog Awards 2017, and named in the Top Five Whisky Blogs in the World by the International Whisky Competition in 2015. Greg’s background is in brand strategy and he has consulted with major design agencies and brands all over the world for over a decade, specialising in whisky brands and other premium spirits. He regularly writes and contributes for a range of media outlets, including: Whisky Quarterly, Whisky Magazine, Drinks Report, Liquor.com and the Evening Standard. GET WARM AND FUZZY WITH THE DUPPY SHARE THIS WINTER! Winter season is coming fast and with it the cold weather! With it the endless gatherings, including Halloween, Bonfire Night and Thanksgiving soirees before the Christmas parties even begin. Seeking comfort and warmth in hearty food and drink, we’re ready to switch our usual summer tipple to a more weather appropriate choice to warm the cockles. Thankfully, The Duppy Share are ready and have given us some of their best recipes to see us through. 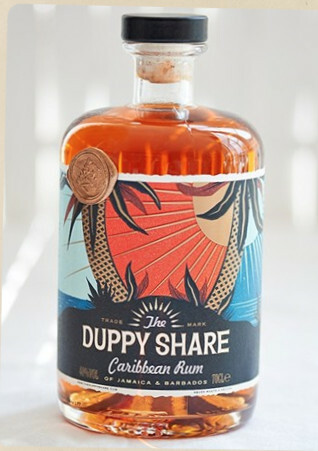 Perfectly balanced, The Duppy Share’s unique blend of premium rums hail from the beautiful Worthy Park Estate in Jamaica and the prestigious Foursquare Distillery in Barbados. 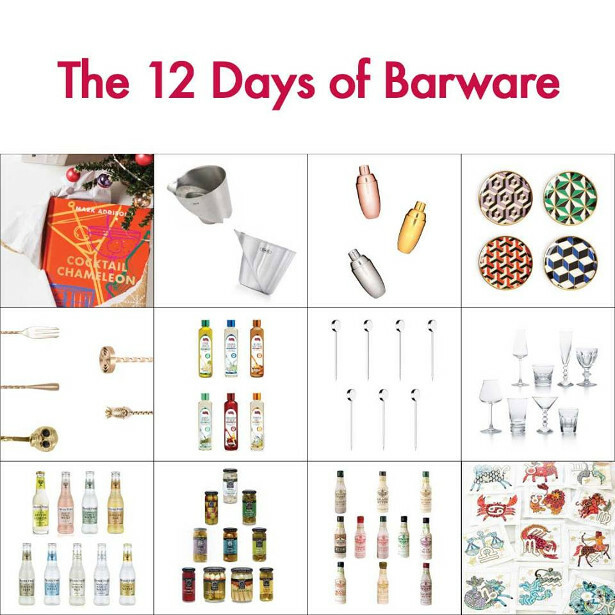 It makes a great gift, so be sure to buy a loved one a bottle or take with you to a party and impress the hosts with a few cocktail recipes to get them in the mood, tis the season to be jolly after all. 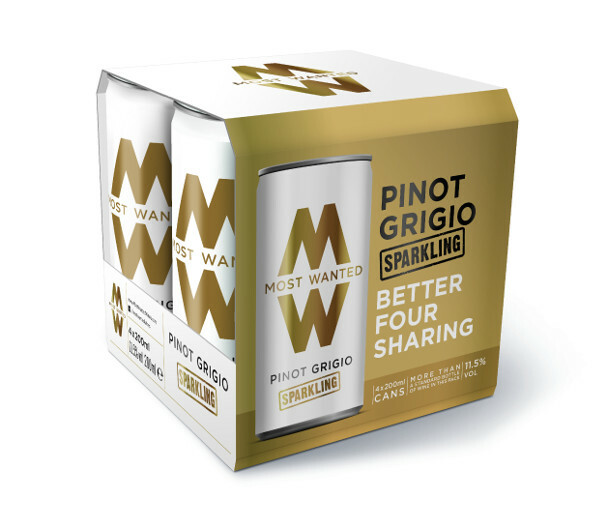 Sparkling Pinot Grigio in a can! One of the UK’s coolest wine brands, Most Wanted, is at it again with another winner! 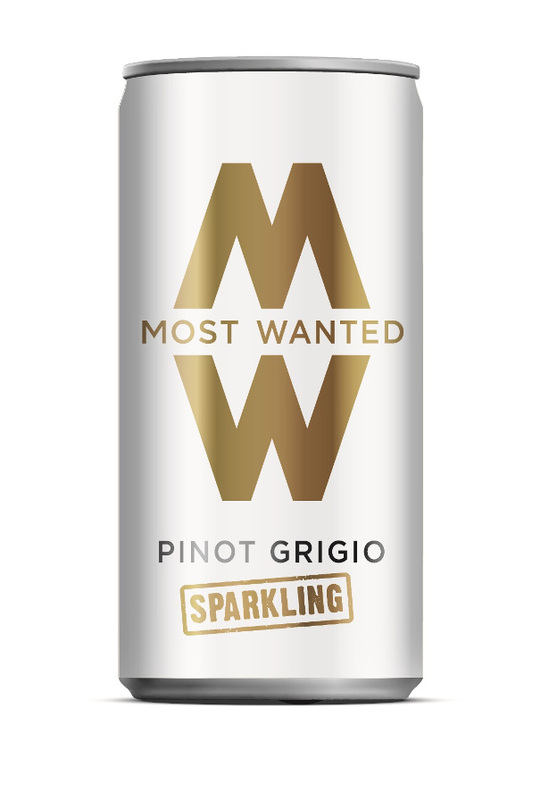 Introducing lightly sparkling Pinot Grigio in a convenient 200ml can. Sparkling wine in a can? It’s like beer but wine, and sparkling, and in pink. No glass needed, just snap open a can and you’re set! 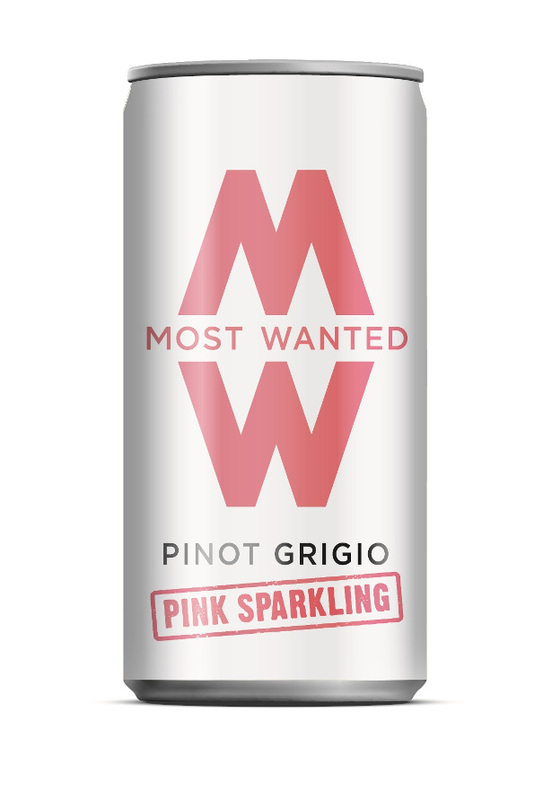 Whether your wine game is standard sparkling or you like to mix things up and go pink sparkling – Most Wanted is guaranteed to deliver on the taste front. Forget pretentious lingo, this is wine without the whine – for those events where you just want to drink, well, good wine. Hosting a party? Keep the ice bucket filled with cans. Have an invite to one? Turn up with the handy cluster pack and your friend will love you forever for not needing a glass. Not to mention, a four can pack equates to more than a bottle. You’re welcome! Heading out to watch the fireworks? Take a can or two to watch sparks fly. On the commute home? Pop in a straw and prepare for a speedy (or delayed!) train journey. Move over Prosecco, Most Wanted has this. Stick in a straw, class comes first of course, and you’re good to go! Most Wanted sparkling cans cost £2.25 per can or £8.00 for a four can cluster pack. With the use of home technology increasing, and Brits favouring voice assistant devices to act as a ‘sous chef’, to make everyday tasks easier, the cookbook could be taking on more of an online form, according to new research. The Sony S50G is the perfect piece of kitchen equipment for professional and amateur cooks alike. With its high quality, 360 degree sound, people are able to listen along to music, ask questions and follow recipes from anywhere in the room, hearing the response loud and clear. Mince pies and gravy are probably the best parts of Christmas for me, for the sake of a sweet bake we’re not going to include gravy but we are going to take the inspiration of a mince pie and knock it into a cheesecake recipe. Cream your butter and sugar together until light and fluffy. Next you want to add your dry ingredients, followed by the zest of oranges 2 tsp of mixed spice and your vanilla bean paste. Mix until the dough is just about coming together, and just then chuck in your chopped dark chocolate and dried cranberries. Place dough on a lightly floured surface and knead gently. (DO NOT GO CRAZY) Wrap in cling film and place in fridge. For your dough to be easier to handle, cut it in half the place it in the fridge for 20 minutes. Place two baking trays into an oven and preheat to Gas Mark 4 / 180C. So, in the meantime, you want to crack on with your cheesecake mixture. Cream your cream cheese and caster sugar until smooth. In a large bowl, add your soured cream and plain flour. Then add one egg at a time, beat into your cheesecake mixture until all eggs are well combined. Finally add your Vanilla bean paste. This is where it gets exciting! Shop-bought or Homemade it doesn’t matter! Add the mincemeat filling to the cheesecake mixture. One that’s done, wrap the top of the bowl in Clingfilm and place in the fridge until ready to use. Take the biscuit dough out of the fridge and on lightly floured surface begin to roll out to thickness of a £1 coin, cut out 12 8cm circles and place one in each cylinder mould. Place a cylinder tray on one baking tray and bake for 15 minutes, until its light golden brown. Set both trays aside to cool on a cooling rack, then drop your oven temperature to Gas mark 2/160C. Evenly divide your cheesecake mixture between all 12 inserts and bake 20-30 minutes, you’re looking for a set cheesecake with a cheeky little wobble in the middle. Once baked switch of the oven and leave the door slightly ajar for the cheesecake to cool 30 minutes. Leave all cheesecakes on the side to completely cool. Once cool place all cheesecakes in the fridge and chill for at least 1 hour ideally overnight. While the cheesecakes chilling, it’s time for DECOR! Melt the 300g of chocolate over a Bain Marie or a microwave but always mix in 20 second intervals, once melted pour the chocolate into a greaseproof lined baking tray. Roughly chop dried cranberries, with 2 more oranges, grate of orange zest over the top and place into the fridge and leave to set, once set break the chocolate slab into funky shapes pointy shapes. For the spiked whipped cream whip the double cream, caster and vanilla into a separate bowl until it’s just whipped – soft peaks. Now, the amount of Baileys you use should really be determined on the day. Monday, 1tbsp. Friday to Sunday, well it’s entirely up to you. Continue to whip until medium peaks are formed. Place the nozzle into the piping bag, followed by the double cream, ready to pipe. To serve, gently pop out each cheesecake and place onto plate or display board. Now it’s up to you on how you want to decorate. But I’ll say you want to pipe three kisses onto the surface of the cheesecake, all varieties of sizes. Place one of your shards on top of the cheesecake, sprinkle some icing sugar. 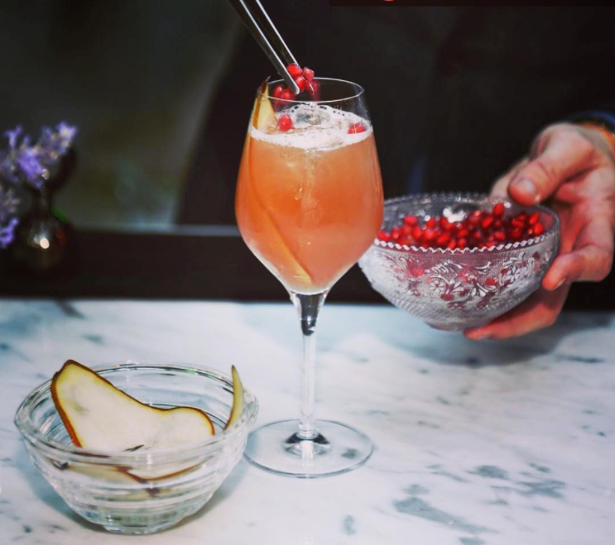 Enjoy a drink (or two) with Novotel Gin Club’s GINgle Bell cocktails, the indulgent spiced tipples have been carefully crafted with notes of gingerbread, mince pie, and cranberry with roasted pine nut. 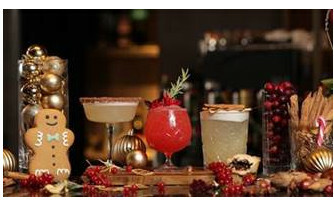 The festive cocktails are a twist on traditional Christmas treats and flavours, and are available until the end of December at participating Novotel bars across the UK with a two for one offer*. Coppertail Brewing Co. in Tampa, FL (www.coppertailbrewing.com). Coppertail is a locally owned and operated craft brewery, and we distribute beer to the entire state of Florida. Craft beer is HOT all over the country, as people are discovering the joys of finding small, craft breweries near home that produce fresh, seasonal beer choices. Supporting local businesses is important to millennials and Gen Xers. And the community of craft beer people is a fun and happy group. Coppertail is not exactly small. We currently brew 20,000 barrels of beer a year, and will be producing 60,000 by the end of 2018 due to a huge site expansion and great demand of the product. For legal reasons we cannot ship beer. However, I would love to encourage your readers to visit their local craft brewery and purchase growlers to fill for holiday parties or gifts. A growler is like a party in a bottle! It’s 64 oz. whereas a six pack is 72 oz., so you need friends to help you drink it when it has been opened. The bottle is re-usable and some of the designs are really cool. Many craft beer lovers collect growlers from their favorite breweries. Here’s a link to Coppertail’s growlers. Feel free to use this photo. Great gift idea: Most local breweries sell gift cards. A great gift would be a growler and a gift card to get it filled. The receiver could have fun experience by tasting all the beers at their local breweries and deciding which they would like to drink onsite or take home. I would be happy to provide you with hi-res photos of Coppertail, beer, etc. Let me know if you have any questions. P.S. : Coppertail does have a line of very cool merchandise for sale we can ship including t-shirts, hats, beanies, baby onesies and socks. Many have art from Coppertail’s label artist, Evan B. Harris of Portland, Oregon. CTRL ALT CLEAN is the perfect gift for everyone that loves their tech products, or the clean freak in anyone, really. A handy 3-in-1 solution to cleaning all of your electronics, use the soft brush tip to sweep away keyboard gunk, the crevice tool for tricky edges, and the machine washable microfiber cloth as the ultimate ‘screen saver’. The CTRL ALT CLEAN will help to clean out every nook and cranny of your most beloved tech tools… we don’t even want to think about how much yuck your favorite tech products attract. – CTRL ALT CLEAN is made of bamboo, recycled plastic, nylon, and microfiber cloth. 1. Whisk together flour, baking powder and salt so it all gets dispersed evenly. 2. Beat eggs until foamy. Whisk in sugar and vanilla. 3. Melt the butter. Whisk half of the melted butter into the egg mixture. 4. Stir in the dry ingredients. 5. Stir in the remaining butter. 6. Peel and halve the pears. Remove the seed core with a small spoon and slice out the stem. Slice the pears into wedges. Fold the pears into the batter. 7. Spread the batter in a greased 9″ cake pan. 11. Preheat oven to 175C. Bake for about 50 minutes. 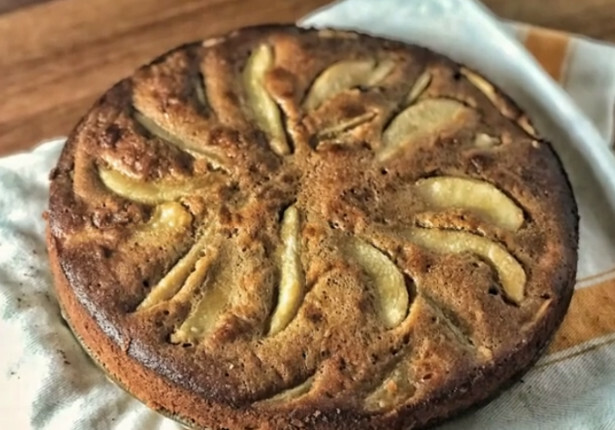 It looks cool if you kinda arrange the pear slices on top before you bake it. From Yorkshire Puds to Spuds, What’s on UK Pets’ Christmas Dinner Menu this Year? 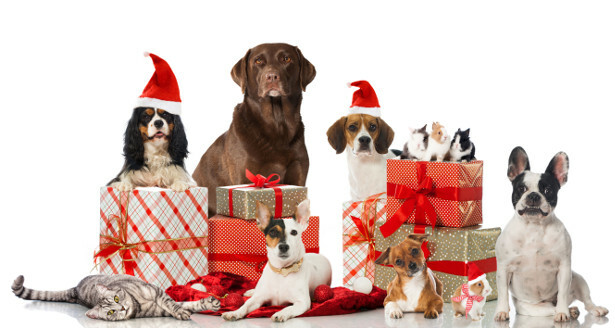 Research collected by The Insurance Emporium found that 38% of UK pet owners either have given or plan to give their pet(s) festive food at Christmas. Turkey has proven to be the most popular dish for pet(s) at Christmas, with 83% of pet owners giving it to their pet(s). Second and third favourites, Pigs in Blankets (48%) and Yorkshire Puddings (33%), look set to also feature on pet(s) Christmas Day menus. We also found that men (16%) are more likely than women (13.5%) to give their pet(s) Brussel Sprouts this Christmas. Overall, 27% of UK’s pet owners are willing to, or have given, their pets a full Christmas dinner. The Insurance Emporium, Pet Insurance Spokesperson said: “Christmas is a time for indulgence and people often want to treat their pets. “Yet, pets need to have a healthy diet, just like humans do. Francis Martin, Chief Executive Officer at The Insurance Emporium said: “Christmas is such a fun time for all the family, including our pets, with Christmas dinner being one of the best parts of the day. “At The Insurance Emporium, we hope that our products provide families and their pets with peace of mind, especially throughout the Christmas period, when an unexpected trip to the vet might occur. Whilst celebrating the end of 2017 you could toast 2018 with a dram of Glen Moray Classic Malt Whisky! In a rocks glass, muddle 1 white sugar cube, 3 dashes of Angostura bitters and 1 teaspoon of water until smooth. Add cubed ice. 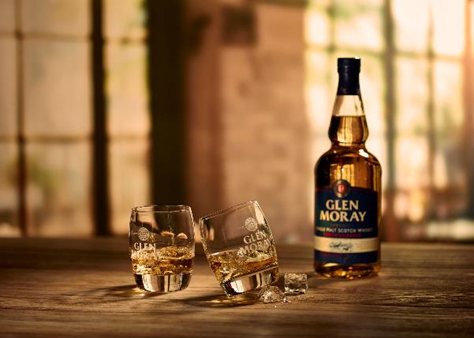 Pour over 50ml of Glen Moray Elgin Classic Whisky and stir, diluting the drink. Keep stirring, adding more ice, until the sugar has fully dissolved and the cocktail is perfectly balanced. Garnish with a twist of orange zest, expressed over the glass and two cocktail cherries. The holidays are fast approaching and when you’re unsure about what to get someone, or need a last-minute gift on your way to a party, there’s really only one choice that will never disappoint: a good bottle of booze. After all, the holidays are the perfect time to break out the good stuff. And if you’re going somewhere and you’re not sure if the good stuff will be there, show up with a bottle you’d like to drink and encourage the host to crack it open. Want to take it one step further? 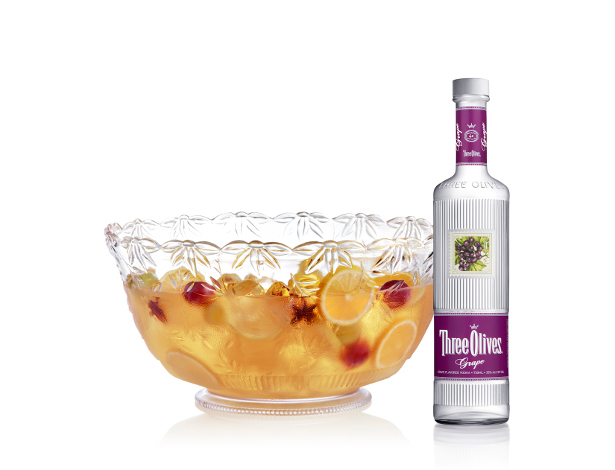 Show up to the party with a full batch of punch for your friends, like this Grape Vermouth Punch from Three Olives Vodka. Crafted with dry vermouth, white grape juice and sparkling wine, serve this one up in a glass punch bowl for a big batch of fun. Sonesta Coconut Grove Miami is treating guests to unique and flavorful menus celebrating the holiday season. For Christmas Eve and Christmas Day, the hotel’s Panorama Restaurant & Sky Lounge overlooking Biscayne Bay will be offering decadent appetizers, entrees and desserts for guests to indulge in. On New Year’s Eve, a prix-fixe menu will be implemented, offering a wide variety of meals including a salad and appetizer station, raw bar and dessert tapas. Reservations can be made by calling (305) 447-8264.Here you can access the limited-time menus at Sonesta Coconut Grove Miami. Overlooking the Atlantic Ocean and golden coastline, Sonesta Fort Lauderdale Beach is the ideal destination for those looking to escape the cold winter and bask in the warm Florida weather. The hotel’s full-service restaurant, Bistro, will be offering a refreshing Christmas Eve meal for travelers and guests that will leave them wanting more. The prix-fixe menu includes a fresh start, followed by a hearty entrée round. For New Year’s Eve, executive chef Thomas Russo delights diners with a three-course meal incorporating flavorful ingredients guaranteed to please the most delicate palate. Reservations are available by calling (954) 315-1460.Here you can access the menus at Sonesta Fort Lauderdale Beach. From the classic Margarita to the Love Byte, a stunning new home mixologist’s one-stop guide is award-winning designer and producer Mark Addison’s invitation to join him as he dresses up twelve cocktails in twelve unique variations for 144 signature takes on the classics. The book is called COCKTAIL CHAMELEON and signed copies are exclusively available at www.cocktailchameleon.com, just in time for holiday entertaining. It’s called entertaining for a reason: you get to have fun while you do it! 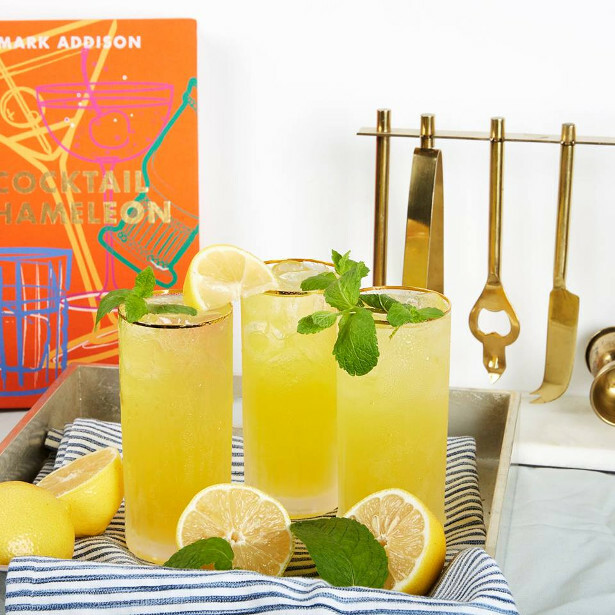 Whether given as a gift or a valuable addition to one’s own library, COCKTAIL CHAMELEON will unlock the mixologist in everyone. It is sure to become an instant ally for hosts looking to elevate an occasion, or to help unwind and end the day on a high note! 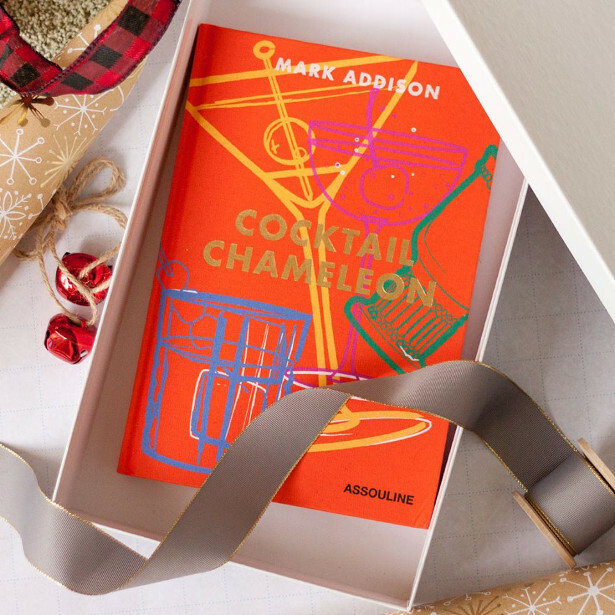 Mark Addison believes that life is a series of special occasions meant to be celebrated in high style. As an award-winning designer and producer, he has created extraordinary environments, from celebrity events and major product launches to destination weddings and international galas. His uniquely creative vision has earned him an impressive client list of celebrities, top consumer brands, and Fortune 500 companies. Mr. Addison’s entertaining and design expertise, along with his dynamic personal style, have made him a sought-after authority. 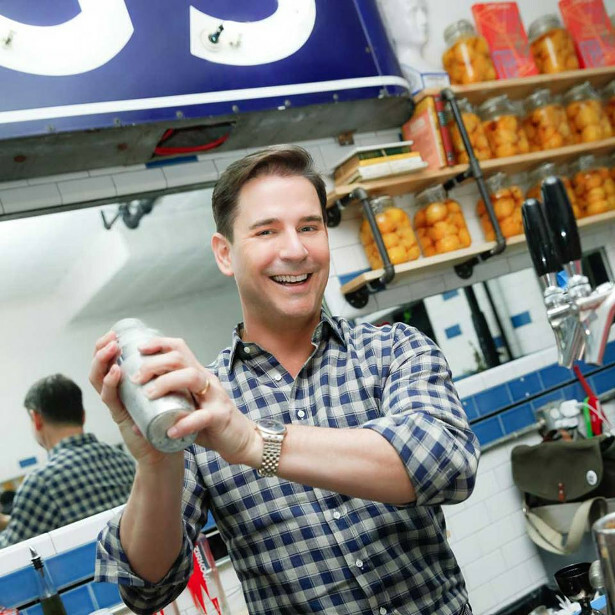 He has shared his ideas on throwing parties, mixing signature cocktails, home décor, and cooking for guests in more than 100 television appearances on national and regional TV shows as well as a being a regular contributor to print and on-line publications. Splitting his time between New York City, Palm Beach, and Vermont, he is always energized by his shifting environment and inspired by the natural beauty of his surroundings. This brings a fresh perspective and contagious optimism to all his work, both behind the scenes and in front of the camera. The ultimate ‘WOW’ factor, Dan Aykroyd’s (of Ghostbusters and Blues Brothers) Crystal Head Vodka comes in a hugely iconic skull bottle made from Italian Bruni glass. 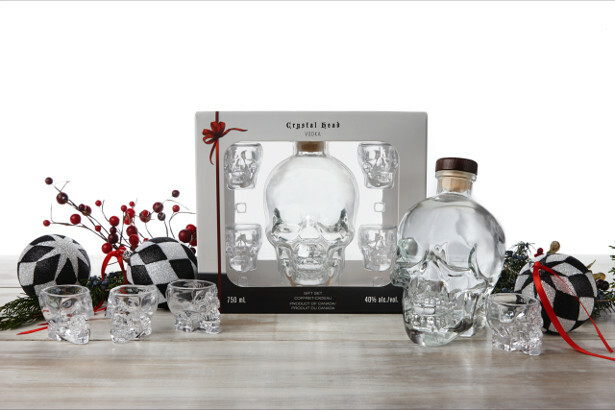 Now complete in a limited-edition festive gift pack with 4 mini skull glasses, it is still available to purchase from Harvey Nichols. 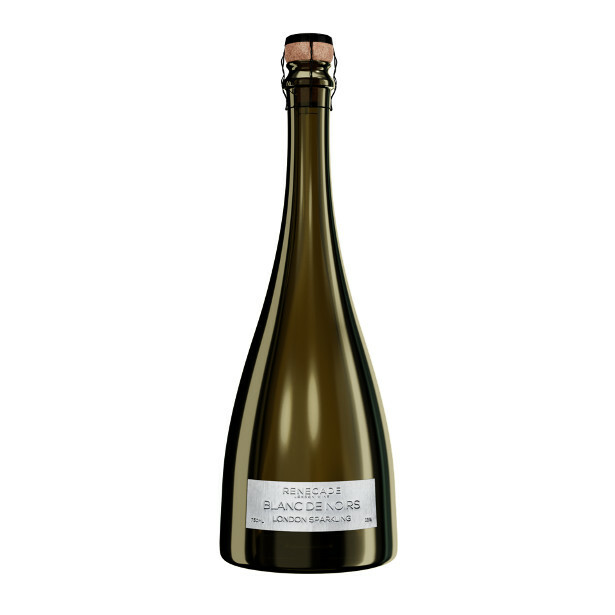 London’s first Champagne-style sparkling wine from Renegade London Wine in Bethnal Green, is now available to pre-order. Made from Pinot Noir and Pinot Meunier grapes, 800 bottles are currently resting in a London crypt and will be ready to drink in August 2018. With each purchase the buyer will receive an ownership certificate and an invitation to visit the crypt for an exclusive tasting session next year to see how their purchase is coming along. 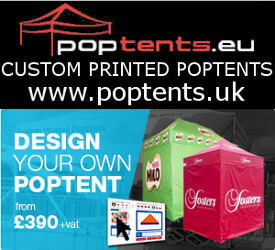 Very limited edition, this will make the perfect Christmas gift. Last but not least, a brand new alternative to sugary mixers specifically designed for Whiskey, Gin and Rum, Sekforde Drinks make a great stocking filler or present for a spirit connoisseur. 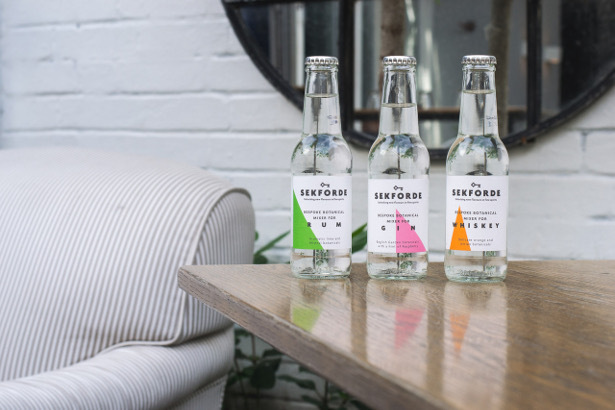 Created by husband and wife team Tom and Talula White, Sekforde are made using only natural botanicals and sparkling water. 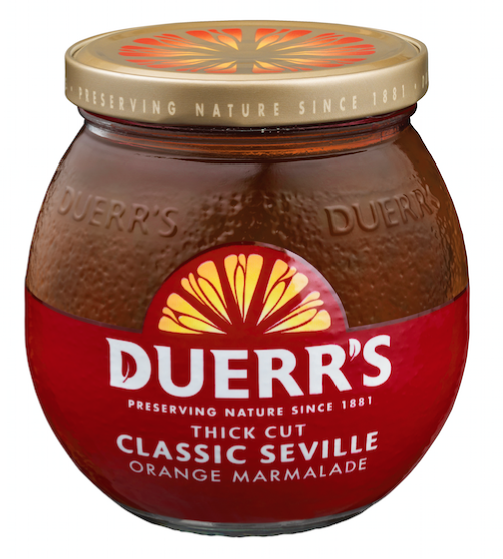 Available to purchase from Harvey Nichols or in a Mixer+Mini stocking filler pack from 31Dover. Klatch Coffee’s Hot Buttered Rum recipe, a great way to sip your way through the holidays, but also stay awake, as it uses Klatch Colombian roast coffee! The recipe was created by Klatch Coffee’s VP, Heather Perry who is also a 2x US Champion Barista. This Beaujolais Nouveau is fruity, with aromas of red berries and cherry. It is fresh, flavorful, round and unctuous. Georges Duboeuf’s Beaujolais Nouveau is mainly sourced from the southern part of the Beaujolais region, which is a patchwork of terroir ranging from sand, clay and limestone to granite and schist. The difference in altitude and latitude can influence the style of wine. Georges Duboeuf and his team tasted more than five thousand samples over two weeks to craft this cuvée. Harvesting of this wine is done manually, in whole bunches, from vines that are over 20 years old. 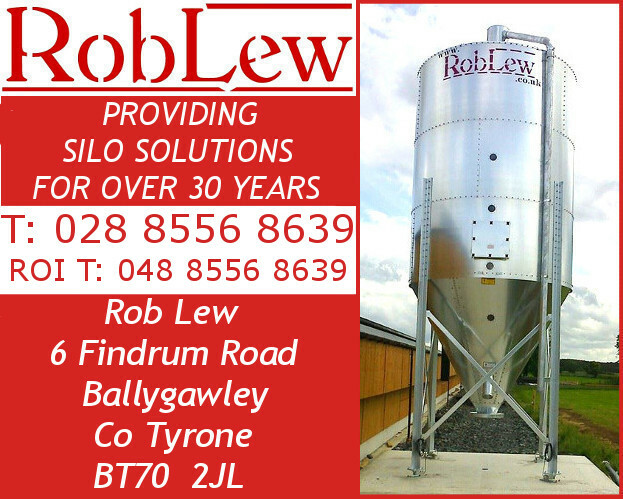 Traditional, semi-carbonic maceration lasts from four to eight days, and malolactic fermentation is fully conducted at temperatures between 19 and 21 degrees Celsius in stainless steel tanks. This wine pairs well with tapas, cheese, charcuterie, poultry and salmon. Recommended to be served slightly chilled. Hampton Farmscustomizable gift basket or box! 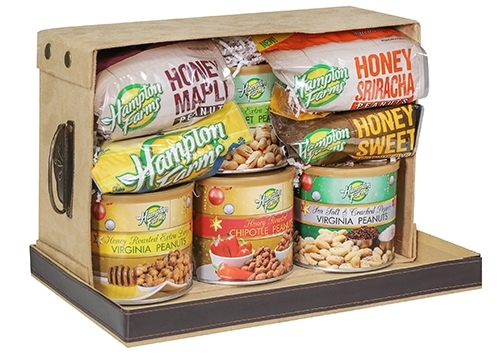 Hampton Farms deliciousand nutritious customizable gift baskets and boxes make the perfectholiday gift for any holiday festivity and the Huffington Post agrees, checkout this recentarticle that included Hampton Farms customizable gift boxes! These easy favors make great hostess giftsfor all those holiday parties and get-togethers you will be attending. Choose your favorite assortment of sweet, spicy or savorypeanuts for a gift that will please anyone’s taste buds. Hampton Farms is the number one brand of in-shell peanuts in the United States, andmakes the perfect snack to entertain all of your festivities. Hampton Farms peanuts are American Heart Association certified andmeet the criteria for a heart-healthy food. The peanuts are not only adelicious snack, but are also part of a healthy diet and lifestyle. Peanuts canhelp you get more nutrition in every bite, which essentially gives you moreenergy to live a healthier lifestyle. Someconsumers worry about the fat in peanuts, but it is important to remember thatmost of the fat in peanuts is good fat – 12 grams of the 14 grams total fatsare unsaturated – the kind of fats we should be consuming more of and thatfuels our bodies! 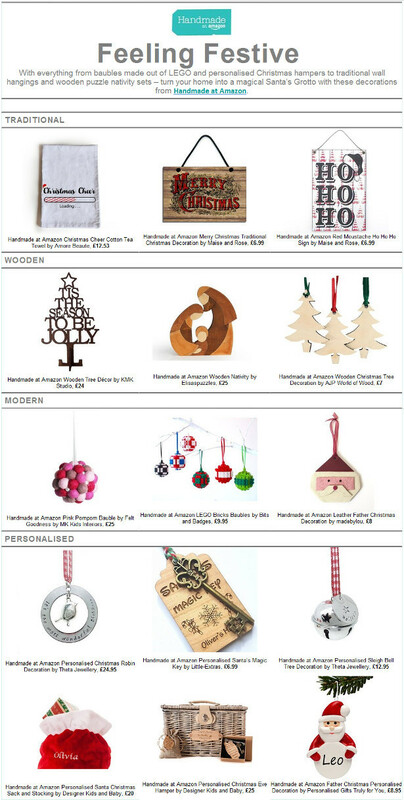 No time to get to the high street for that last minute teacher’s present or gift for a friend or family member? Tipplesworth fuss free cocktail mixers or a Black Cow Vodka Gift Voucher can answer your prayers and all just a click away. 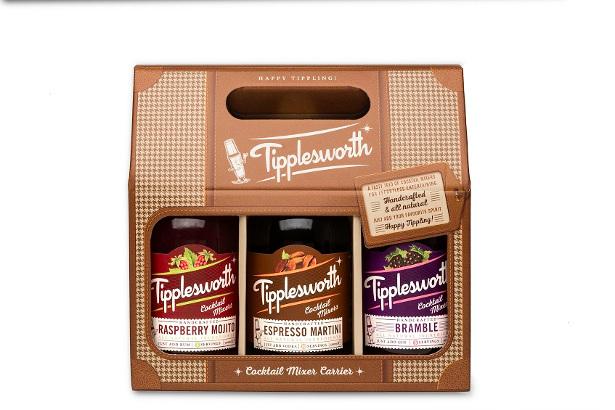 The Tipplesworth Cocktail Mixer carrier – three cocktail mixers packaged in 500 ml glass bottles and when mixed with spirits, create five or more tasty servings, perfect for Christmas or New Year Drinks. 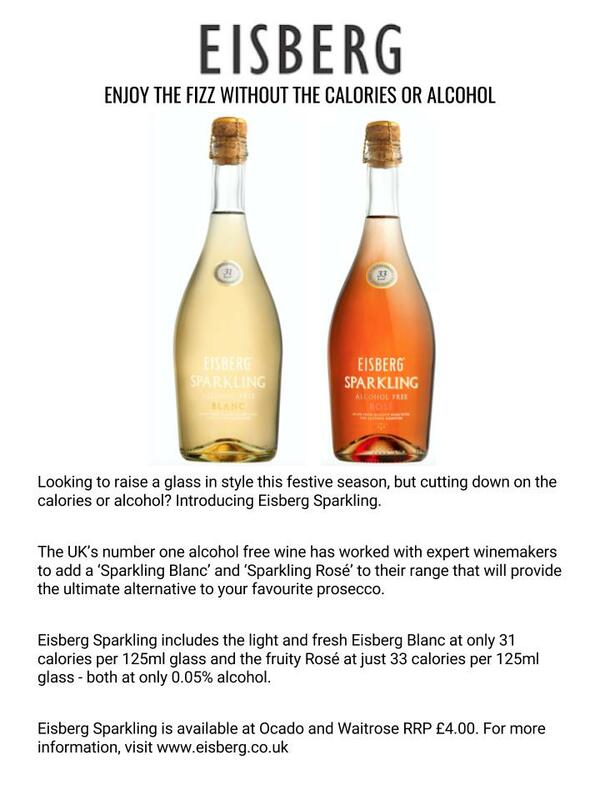 Available as a trio for £15.95 or as individual bottles, 500 ml bottle for £4.95 from 31Dover.com or Amazon. 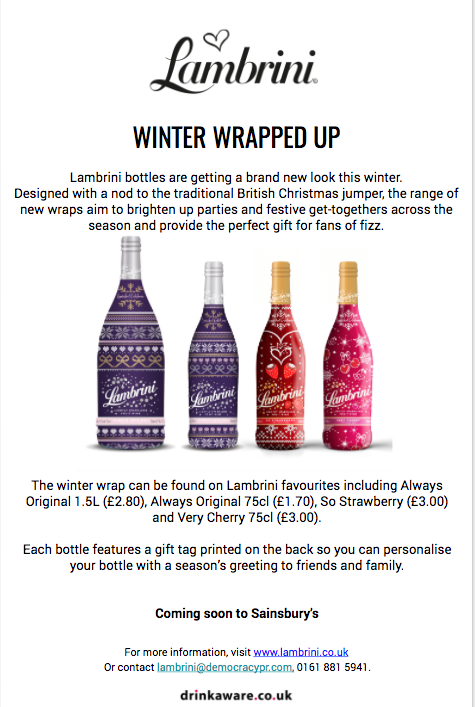 Individual bottles also available from Ocado for £5.99. Belvedere, the world’s original luxury vodka, today announces its 2017 (BELVEDERE)RED limited edition bottle, available starting September 2017 through the holiday season. In partnership with (RED), the new (BELVEDERE)RED bottle will support the critical work of The Global Fund, to fight against HIV/AIDS in Africa. This marks the sixth year of Belvedere’s partnership with (RED). To date, sales of (BELVEDERE)RED bottles have raised enough money to provide treatment for nearly 40,000 women living with HIV to help stop the transmission of the virus to their babies. This year’s (BELVEDERE)RED limited release is a creative take on Belvedere’s iconic bottle, which features an illustration of the Polish presidential palace. Commanding attention with its audacious sleek red color and stunning pearl-matte finish, the bottle will be available in 70cl/75cl/1L/1.75L at select retailers around the world this fall and throughout the holiday season. “Belvedere’s continued support of the AIDS fight with (RED) drives real impact where it is needed most, enabling mothers and their children to live healthy, productive lives, and helping ensure that this generation and the next can contribute to communities and economies where they live and beyond. We couldn’t be more grateful for the money and heat Belvedere brings to this critical global issue.” said Deborah Dugan, CEO of (RED). To celebrate this collaboration, Belvedere will introduce the (BELVEDERE)RED Martini. Refreshing and flavorful, this bespoke cocktail pays homage to the (RED) cause with its red hue, while complimenting the smooth, rich texture of Belvedere Vodka. Consumers will be able to order the (BELVEDERE)RED Martini at featured bars and restaurants, as well as make them at home with the recipes provided. Did you know that a glass of chocolate milk could be the perfect pick-me-up on the morning after? According to research, chocolate milk straight from the fridge can help cool and settle an inflamed stomach and rehydrate the body. Plus, the mix of sugars and milk proteins make it ideal for raising energy levels. To reap the best benefits reach for Shaken Udder Chocolush. Low fat and low in sugar Shaken Udder Chocolush is made from British milk and real ingredients and is packed with calcium and immune-boosting Vitamin B12 to help you feel fighting fit after a boozy night. -Shaken Udder launched in 2004 as a top-notch event based brand, bringing fresh, tasty and healthy milkshakes to festival goers across the country. 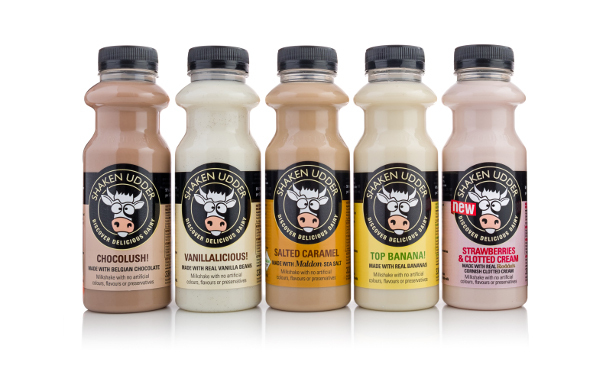 -Shaken Udder Milkshakes come in three formats, its 330ml bottles in flavours Vanillalicious, Top Banana, Salted Caramel, Chocolush and new Strawberries & Clotted Cream, its Shaken Udder Kids cartons in Strawberry and Chocolate and 750ml Uber Udder bottles in Chocolush and Vanillalicious. -Shaken Udder milkshakes are available from Tesco, Sainsbury’s, Waitrose and Ocado. Mister Lasagna is launching a festive special with their Christmas Dinner Lasagna – succulent turkey, roast potatoes, Brussels sprouts, pancetta and caramelised red onions, layered with a béchamel and cranberry sauce. 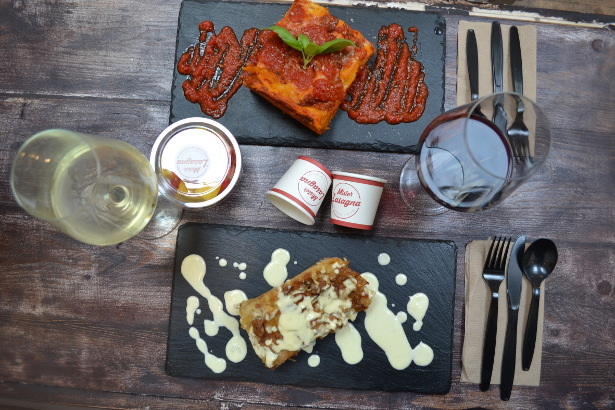 Available from 4th December up to Christmas, the Christmas Dinner Lasagna is £5.90 and available at all Mister Lasagna restaurants. With unparalleled flavor and versatility, pork is the gateway to new flavor exploration. This holiday season, the National Pork Board has teamed up with Chef Jose Mendin, award-winning chef at Pubbelly Noodle Bar in Miami, Florida, to share some of his favorite pork dishes. 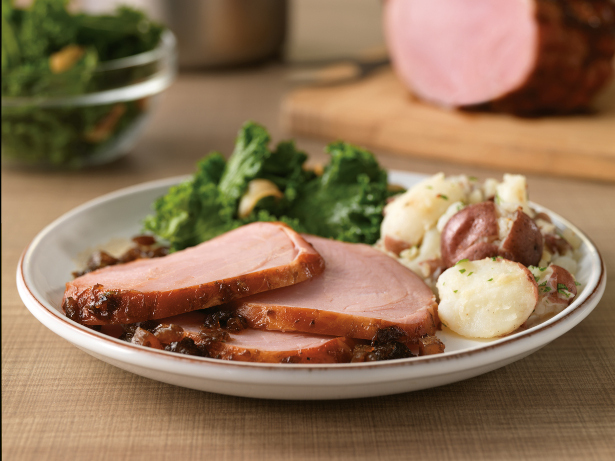 This recipe combines pineapple with honey and balsamic for a flavorful ham that’s paired with easy garlic kale and smashed potatoes. If you’re interested in more great ways to prepare pork, check out PorkBeinspired.com for great meal tips and recipes! 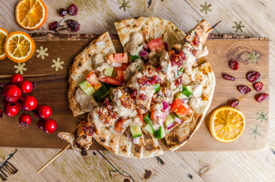 As the temperature drops this winter, The Real Greek brought a taste of the Mediterranean to the UK with its version of the much-loved Christmas sandwich – the Turkey Souvlaki. Available in all sites, the Christmas special feature succulent turkey skewers on a bed of crunchy cucumber, tomato and onion salad. Topped with a festive sundried tomato and orange dressing and a cranberry red wine reduction – all served on a traditional open flatbread, or wrapped up to takeaway, for just £6.25. The Real Greek has also launched a delicious, seasonal Christmas Menu that features Honey Glazed Pork served with crushed new potatoes, ladolemono leeks and chantenay carrots; Turkey Breast on a bed of cranberry and sultana saffron rice, with sundried tomato and orange dressing with a cranberry red wine reduction; Lamb Cutlets served on a bed of warm green pea fava puree, chantenay carrots and a cranberry red wine reduction; and Grilled Vegetable and Sweet Potato Stack on a bed of garlic tomato sauce, served with feta* and kale crisps. For those who wish to really indulge this holiday season, The Real Greek’s Christmas Menu offers an alternative to the traditional Christmas pudding, with its smooth Caramel and Pecan Cheesecake, rich Chocolate Mousse Cake, sticky Baklava, as well as luxury Ice Creams and Sorbets. The Real Greek’s Turkey Souvlaki will be available throughout December whilst the Christmas Menu is available until 7th January 2018, in all fourteen restaurants across the UK. The Real Greek also has a meze style Party Menu, available all year around, starting from £10.95pp. 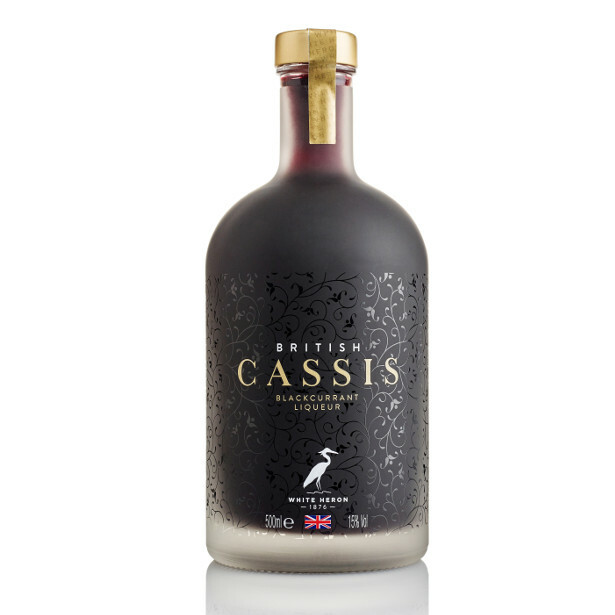 British Cassis is a premium blackcurrant liqueur which is less sweet than traditional creme de cassis. It is made in Herefordshire by Jo Hilditch, a fourth-generation blackcurrant farmer, it’s a versatile drink that is perfect to add to gin cocktails or sparkling wines. 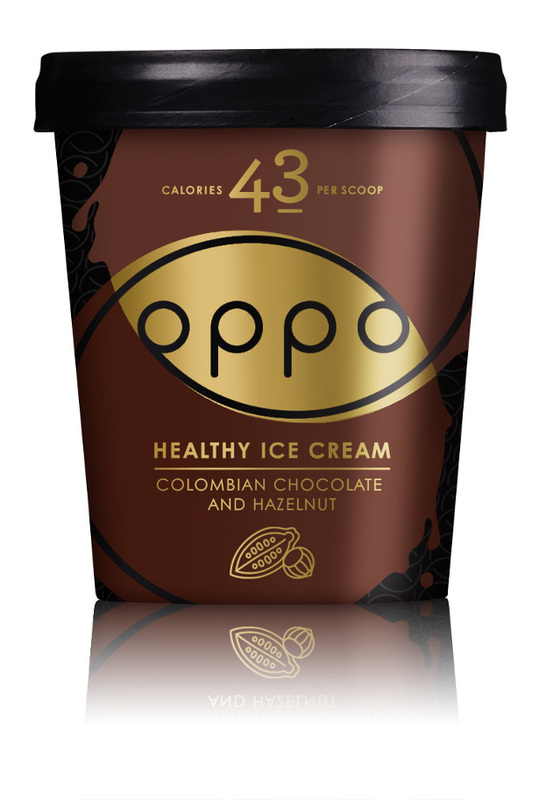 It is available at Waitrose & Majestic nationwide RRP £19.99. Monty Bojangles, have you tried their chocolatey truffles? The below box is brand new for the Christmas season and a good alternative to the same old box of chocolates. 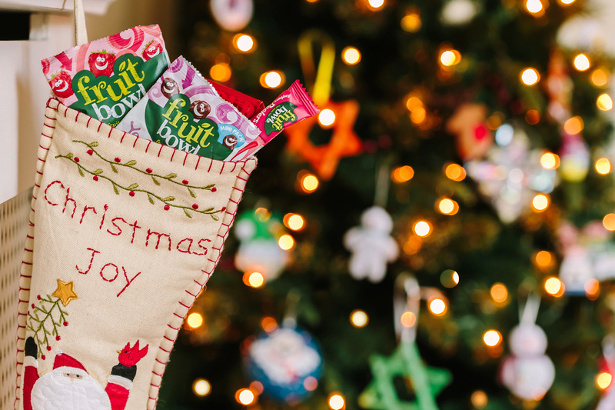 They’d also make a great stocking filler. 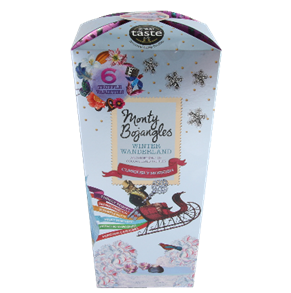 NEW Winter Wanderland is a beautiful box filled with 285g of individually wrapped intriguingly shaped cocoa dusted truffles in 6 of Monty’s inventive flavours including; classic Choccy Scoffy, Orange Angelical through to more unusual Pistachio Marooned and Popcorn Carousel. This is a limited edition release, brand new for this winter season. Use plain plates, diversify colours and don’t be reckless with your gravy – the optimal arrangement of Christmas food on the plate to make it look most appetising. Christmas traditions can be controversial, and none more so than the main event – dinner. What time do you have it? What meat do you eat? Is Nut Roast the way to go? Is cauliflower traditional? Should you have a Yorkshire pudding with turkey? The food often come down to long held traditions and preferences but do you pile it high or do you consider how things should be arranged on your plate to get the most of this once-a-year-delight? In a world where Insta-foodies are abundant, research has shown that the sight of a beautiful plate of food can entice the appetite and set expectations of how much we are going to enjoy the it – it seems we eat with our eyes first. 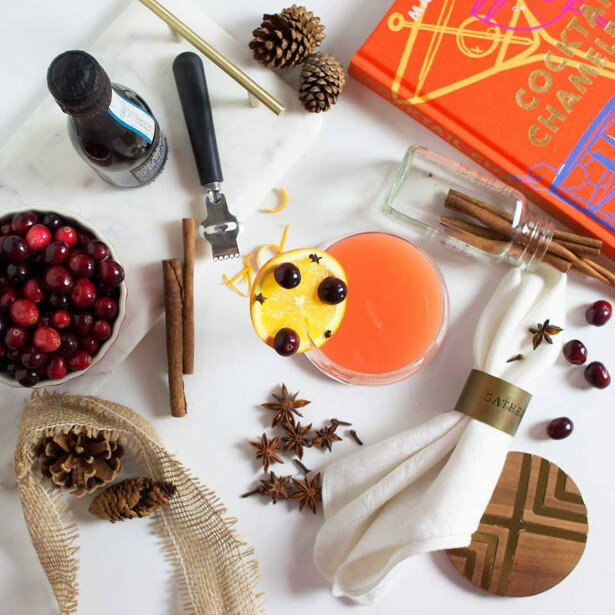 Well, this year, M&S – famed for their ‘beautiful food’ ads – have teamed up with culinary artist and scientist, Charles Michel to explore the science behind a beautiful Christmas dinner. Charles has undertaken extensive research on multisensory perception applied to food at the experimental psychology department of Oxford University. He has co-published over a dozen papers in scientific journals on “food aesthetics” – the space between food, art and science, and he’s shared his insight on the perfect plating of Christmas food. But whilst it may be beautiful, singular roast potatoes and Brussels sprouts would no doubt outrage Christmas dinner devotees nationwide – while Northerners would not be the only ones up in arms about the lack of gravy! So whether you like fancy food or piled-high plates, when it comes to Christmas dinner, it truly is each to their own. The plate is the Canvas: First things first. Choose your canvas wisely. Round plates are often preferred to angular ones. The more space you have on the plate, the more neat and less messy your plating will be. The colour matters too: plate colour has been proven to affect food taste, but also, change the colour contrast balance. Neatness and skill: Every element of the plate has to be skill fully placed. A “messy” arrangement simply kills the beauty of the dish. Better to place a circular dot of the gravy by pouring in one spot only, rather than drizzling all over and make the plating look as if shaken by an earthquake. Proportions: do not put too much food on the plate! This will make it look messy, and also sometimes we tend to have one’s eyes are bigger than one’s stomach! Better to serve less in a beautiful way, than too much. Height and movement: A beautiful plate of food has to have height, and “grace”. For instance, a sprig of rosemary on the stuffing should be reaching heights. The different slices of turkey should be arranged in a way that is not too linear, in order to reach “movement” which quite literally makes the plate feel more alive. Belhaven Brewery is launching the latest beer in its fruit flavoured range, Twisted Mango IPA, in time for Christmas. The 5.1% IPA, which combines the big tropical fruit aroma of Galaxy hops with a unique twist of juicy, fresh mango, is the fourth craft beer to be launched by Belhaven. It follows the success of gold award-winning beers TwistedThistle IPA, crisp citrus hoppy Intergalactic Dry Hop Lager and the bold, fresh taste of Twisted Grapefruit IPA. Twisted Mango IPA, brewed with Chinook and Galaxy hops, is bursting with tropical hop flavour. Presented in eye-catching 330ml cans with bold names and quirky designs, when you pop open the can of Twisted Mango IPA you will be hit with the delicious aroma of fresh mango, a super refreshing taste of summer to brighten the winter gloom. Nestled amongst the rolling barley fields of the beautiful East Lothian coast, Belhaven Brewery has been creating Scotland’s favourite ales for nearly 300 years. Yet, within the walls of its ancient brewery lies the latest cutting edge brewing equipment and a team of brewers driving the next generation of beer innovation. All of Belhaven’s beers are lovingly created using the finest 100% Scottish malt, water from the brewery’s ancient well, the very best hops selected from around the world and Belhaven’s secret ingredient, its unique yeast. 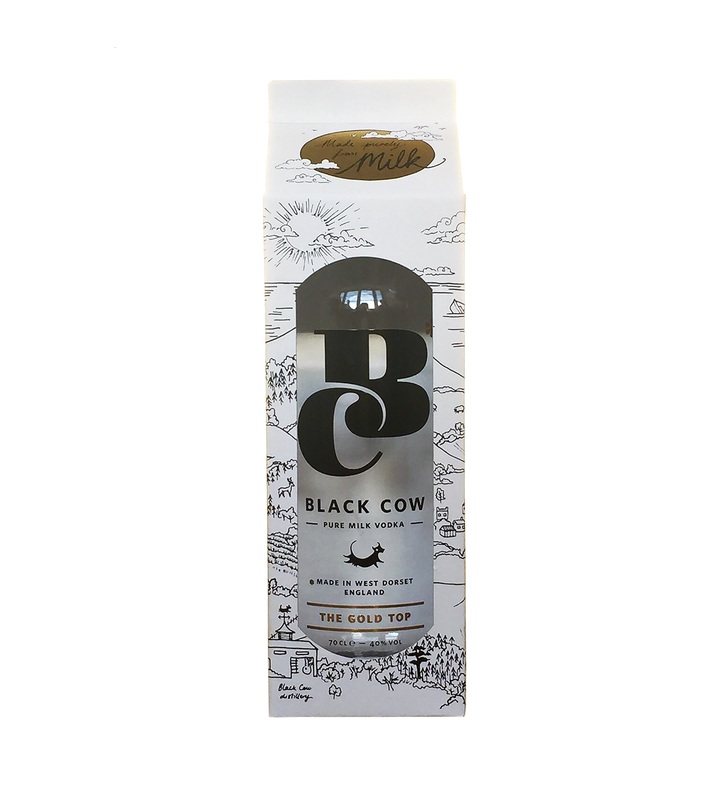 Black Cow Vodka Gift Pack – £29.95 for 70 cl at 31Dover.com and in all major supermarkets. 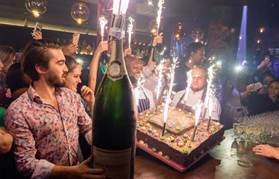 Ballie Ballerson – the world famous ball pit cocktail bar in Shoreditch are celebrating in style this New Year’s Eve. DJs will be pumping out a variety of deep house and disco. Customers will be able to advance book two-hour tickets for the main ball-pit via the website http://www.ballieballerson.com/. The awesome Mac & Cheese with Bacon Deep Dish from Chicago Town is sure to be the newest family favourite. Available for a limited time only, Chicago Town has reinvented this classic American favourite – and added a pizza twist! The iconic Deep Dish crust is generously filled from brim to base for the ultimate pizza hit. Chicago Town¹s new American-inspired pizza offers ultimate versatility and is the perfect meal solution whether it¹s for a family dinner, quick lunch at work or tea time with the kids. 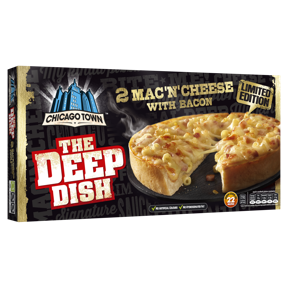 The Mac & Cheese with Bacon joins the Deep Dish range this September, which includes Four Cheese, Mega Meaty, Pepperoni, American BBQ, Ham & Pineapple and Chicken Club. Fancy a slice of the action? Visit us at www.facebook.com/ChicagoTown or www.chicagotown.comfor the latest news, promotions and giveaways. DOUGH THEY KNOW IT’S CHRISTMAS? Forget the traditional roast turkey this Christmas: hungryhouse.co.uk has revealed what thousands of Brits will really be chowing down on this Christmas Day – and it’s not what you think. 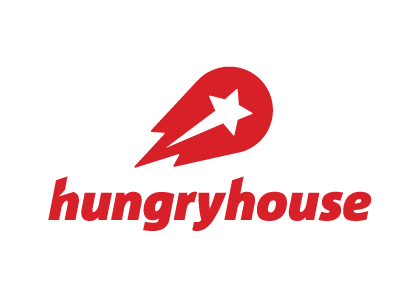 Based on thousands of orders from Christmas 2016, the online food-ordering platform reveals that pizza is officially the most popular Christmas Day takeaway, with hungryhouse selling one every seven seconds last year. Margherita, meat feast and Hawaiian top the list of most popular toppings. 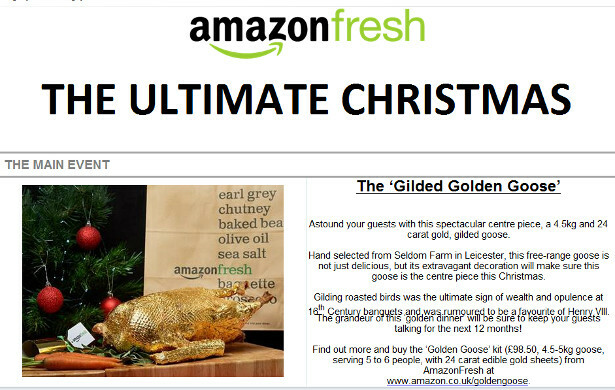 Next on the list of most-loved festive food is chicken with nearly a third (29%) of orders on December 25th. Burgers come third at 20% and Indian food fourth (11%) – with Korma, Biryani and Tikka Masala proving most popular. Those with more adventurous taste will be opting for Lebanese (6%), sushi (5%) or Persian (3%) this coming yuletide, according to the extensive data revealed by hungryhouse. The statistics also show we’re a divided nation when it comes to our festive food choices, with those in Yorkshire (58%) and the North-East (31%) opting for burgers above anything else. It’s all-about-Italian for those in the south east (67%), south west (55%) and London (67%). Scotland is revealed as the only region fanatical about Chinese food with nearly a quarter (24%) ordering it on Christmas Day 2016; other regions kicked the cuisine to the kerb, with only 2% of orders from the rest of the UK opting for the oriental food. 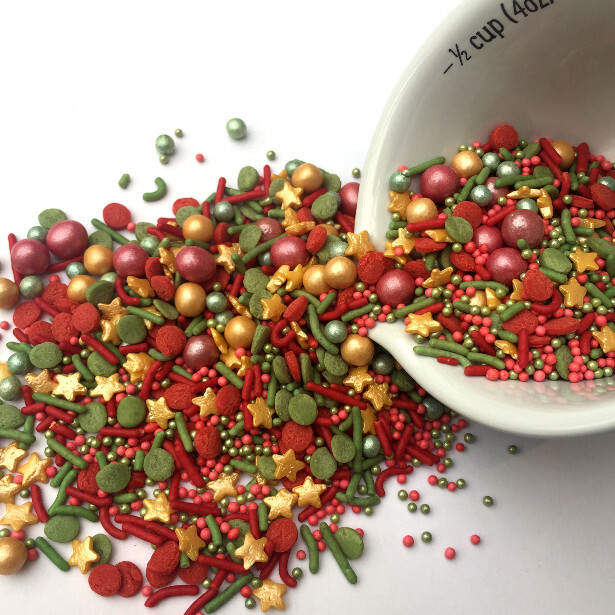 Detail: Mix of cake sprinkles made from natural ingredients, gluten and dairy free, suitable for Vegan, Halal and Kosher diets. About the stockist: Baking Time Club provides exciting bakeware and cake themed gifts, founded in 2016, shipping worldwide. Specializing in ‘free from’ cake sprinkles subscriptions. Whether a pre-dinner toast, a festive aperitif or to ring in the New Year, the Solerno Sparkling is the perfect cocktail for every occasion! Imparting flavours of Sicilian blood orange and lemon, this unique liqueur is perfect for a Solerno Sparkling, the perfect celebratory drink with a blood orange twist. Or for something a little darker this winter, try a Solerno negroni – Solerno aperol and sweet vermouth. The unique bottle design inspired by Murano glass is the perfect gift for those looking for something a little different this Christmas. Why not a Raise a toast to the original and naturally intense flavours of blood oranges this festive season with Solerno! 1 Chill rocks glass by placing in refrigerator/freezer or by filling with ice water and setting aside for 5 minutes (optional). 2 Cut 1 lime in half crosswise, then squeeze the 2 halves of lime into a cup and set aside for Step 3. 3 Measure and add all ingredients (except for garnish) into Cobbler Shaker. 4 Shake vigorously for 10 seconds. 5 Remove rocks glass from fridge/freezer or if using water, empty the glass. 6 Add fresh ice to rocks glass, then strain contents of Cobbler Shaker into rocks glass. 7 Garnish with a dehydrated lime wheel placed directly into the glass. Add ice to a cocktail shaker. 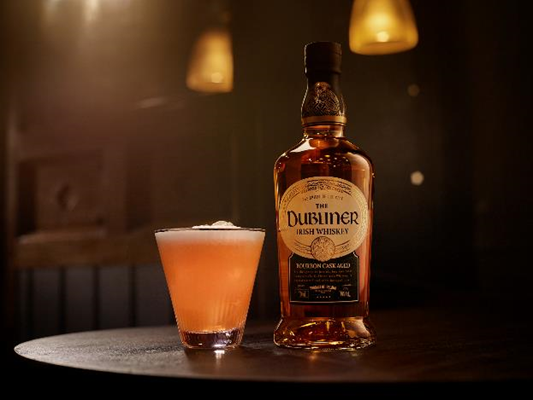 Pour in 70ml The Dubliner Irish Whisky, 7ml lemon juice and 14ml sugar syrup with a dash of Angostura Bitters and shake well. Strain into an Old Fashioned glass filled with ice. 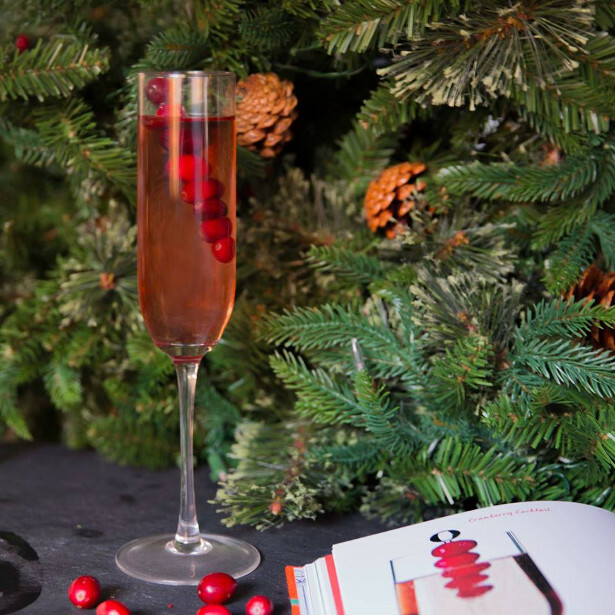 Garnish with lemon peel and a glace cherry– perfection!